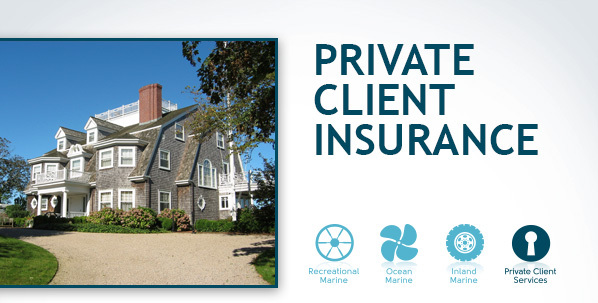 Private Client Services – Solutions for Home, Auto, Yachts and more! MPG brings you access to AIG, Chubb, Chubb, Ironshore and NatGen Premier, the industry's most prominent carriers offering solutions to High Net Worth clients and a level of customization and personalized attention unmatched in the insurance industry. In addition we offer a suite of comprehensive non-admitted solutions for your clients hard to place personal lines exposures. Leveraging our carriers' unique approaches and wide range of sophisticated products, we craft the tailored, comprehensive insurance programs you need to best protect your client's assets and personal liability. Homes: Industry-leading coverage solutions for homes of all styles and ages. Featuring guaranteed replacement cost, coverage for water damage, and supplemental coverage options. Auto: Insurance for all types of vehicles. Key coverage areas include repairing with original manufacturers' parts, choice of repair shops, and increased coverage for loss of use. Non-Admitted Personal Lines: Vacant or rental homes, coastal and CAT exposed homes, liability, excess flood, wind. With nationally recognized providers, MPG helps you properly protect your client when the admitted carriers can't or won't. Personal Excess Liability: Coverage that responds if a lawsuit alleging personal injury or property damage exceeds the limits in primary policies. Excess coverage is offered in limits to $100 million. Collections: Protection for prized collections, including fine art, jewelry, wine, antiques, memorabilia, and other precious items. Fire, theft, flooding, natural disasters, breakage and mysterious disappearance are all addressed. Builders Risk: Exclusive in-house national programs to underwrite Builders Risk exposure. Programs are comprehensive and flexible, with tailored coverage options to meet the unique needs of each client's new construction or renovation projects. Yachts: Coverage for all types of boats, yachts, and super yachts. In-house specialists who are marine experts. Aircraft and More: A wide range of additional programs include insurance solutions for private aircraft, trip cancelations, private staff, family offices, and programs to help protect family. Apply online to become a broker. Learn more.